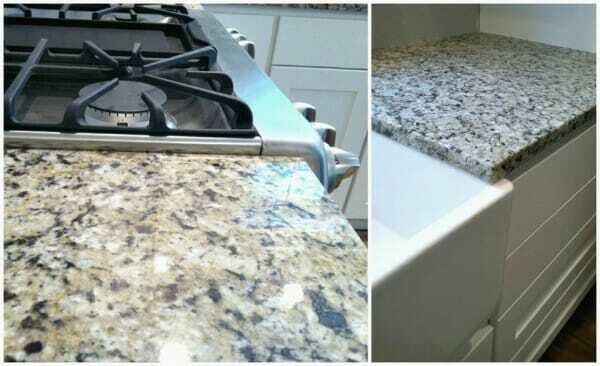 Today’s post is an updated version of a post originally shared back in October of 2012 — but it’s one I still get SOOOOOO many questions about, so I’m re-sharing it in hopes that more people see it and get answers to their granite countertop questions! When we renovated our kitchen back in the summer of 2012, I was absolutely convinced I wanted black granite countertops… until I met with the owner of Premier Granite and Stone (who just so happens to be a friend from high school). He knew me well enough to suggest that I might not want black granite since it shows every crumb, water spot, finger print, dust bunny, etc. 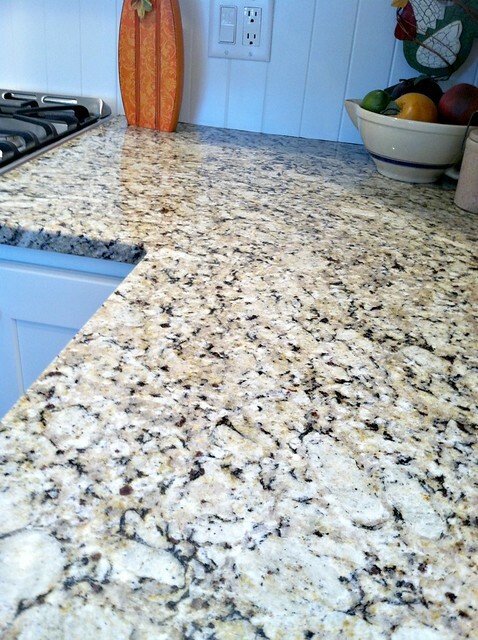 He suggested New Venetian Gold Granite for a more practical, yet equally timeless look… and I LOVE it!!! The colors in our kitchen counters tie everything in our kitchen together. They have white flecks that mirror the cabinets, brown that ties in with the floor, black for the island, and a tan/beige that picks up on the wall color. Plus, if the light shines just right, there are some metallic flecks that work with our stainless appliances. It’s just the most perfect granite for our kitchen… and it doesn’t show any dirt, dust, crumbs, water spots, finger prints, etc. I actually have to run my hand over the counters to see if they need to be wiped down… 6 years later and I’m STILL so glad I made the switch to New Venetian Gold! Anyway, when our counters were installed, we got a nice little packet of information on how to clean and care for them… and it said DO NOT use vinegar as the acid in it will eventually etch away at the granite. 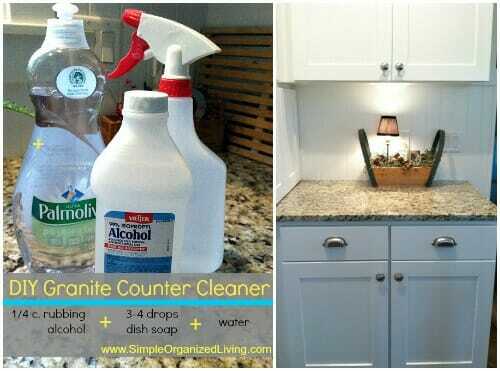 Since I use vinegar to clean much of my home, I had to find another granite cleaning solution. After doing a little research of my own, I decided on a homemade recipe that has been working marvelously for me ever since! I should also mention that you can use straight dish soap and water — like when you’re filling up the sink to wash dishes. That will work perfectly fine… especially for granite like mine. However, if you have black or white granite, soap and water could leave streaks. If you don’t want streaks, today’s post has THE granite cleaner for you! Mix all the ingredients in a 16 oz plastic spray bottle (found at most dollar stores), give it a shake, and you’re ready to clean. 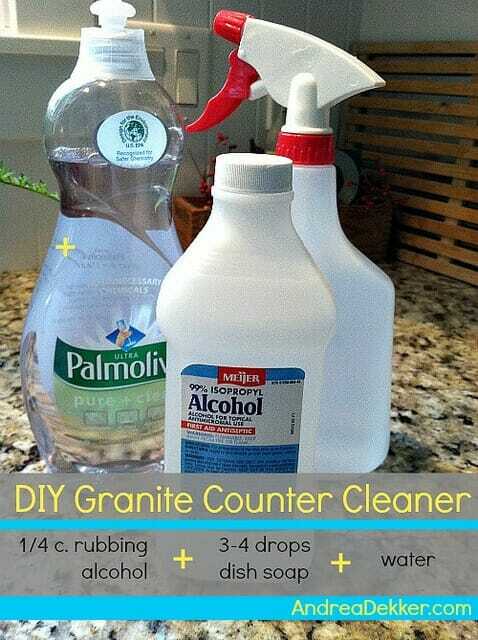 It’s a quick, simple, and frugal way to clean any granite surface! If you don’t feel like making your own cleaner, here are a few store bought cleaners specifically for granite (affiliate links). Do you have any other tips for cleaning or caring for granite counters? 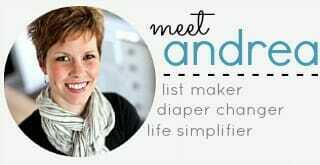 Hi Andrea–I’ve been using Windex Vinegar on my granite which I’ve learned is a big no-no. I now use your isopropyl mix! Do you use this solution on your chrome faucets and stainless sinks, too? I really feel better using a disinfectant, which vinegar and dish soap are NOT. Bleach and Lysol-type stuff ARE. So that what I use, following directions on bottle. But I have Formica, not granite, and that a big reason I chose Formica! Maybe you have addressed this somewhere, but I couldn’t find it. Are you supposed to re-seal the granite every so often? We have had our counter tops for a little over a year and I feel like the surface is becoming rough and I wonder if the seal is wearing off. Any ideas? I don’t think I’m the expert on this — but we do seal ours every couple of years. You could contact the company who installed your granite and ask them specifically. I’m not sure if different types of granite and hard surface require different treatments! thanks for sharing Mary! Enjoy the new counters! My mother’s new kitchen countertops are granite and after some time of wondering what to use for cleaning, she bought some full of chemicals detergent from the store. I told her not to fill her home with unknown chemicals, but she just never listens to me. It’s a great recipe, that you share, natural and easy to mix. I’m showing it to her right this weekend and I’m sure she’ll appreciate it. Thank you for the good idea! I have the same countertops in my kitchen and I love them too! I think that this color is the best solution especially for a kitchen. I clean them only with dish soap but I like your suggestion and will try it for sure! Thank you a lot for this post! Hi Heather! I’m honestly not 100% sure if using bleach is bad for your counters/food prep areas. I can’t imagine it would be great to ingest bleach (and I know it’s not great to breath it in) but I also know there are food-safe bleach sprays on the market. Clorox makes one specifically for kitchens — you might look into that?? Thank you for sharing your way of cleaning the granite counter tops! I have granite counter tops in my kitchen. I love them and clean them every day, so thanks a lot for this alternative! 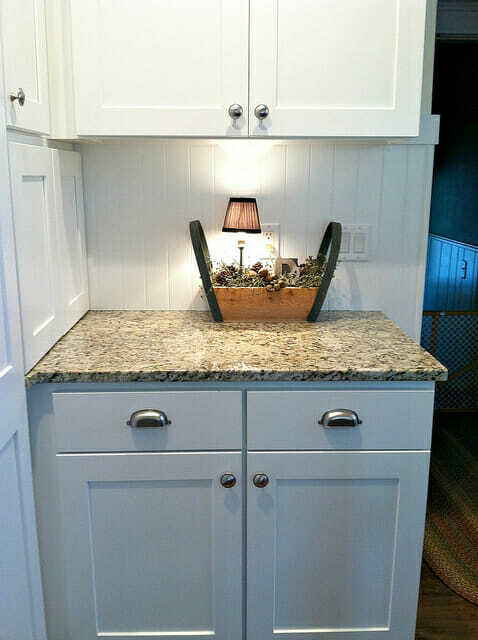 This spring I will renovate my kitchen and I will put granite counter tops. Thanks a lot for sharing your experience. You definitely helped me a lot to choose the right granite! Glad to help Lizzy — and good luck with your kitchen renovation! I just love your website! I have granite similar to your’s in my kitchen and I’m constantly dealing with hard water around the faucet. I try to wipe it down when I use it, but nobody else in the family does it. Have you experienced this with your’s and do you have any tips? I’m wondering if it’s just your water — because I’ve never had that issue with my counters (and we always have water splattered around the sink area!) I just posted this a reader question on my facebook page so hopefully some others will have a few ideas. You can follow along with the responses here. I have Formica but have the same problem with hard water deposits. Vinegar helps but it takes a stronger acid to really do a good job. Not sure what that would do to granite, though. I have super hard water, and dark granite. I use a single edge razor blade to scrape off the minerals from time to time. You just scrape lightly with the blade at a 45 degree-ish angle. 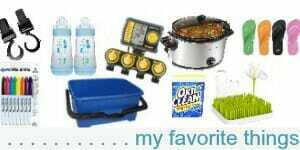 In between, I clean with Barkeepers Friend. (I got my single edge razor at the paint store in a cute holder but I’m sure you can find one anywhere). good tip — thanks Donna! I like your granite cleaner! Do you have a recipe for cleaning sealed hardwood floors. My baby will be crawling soon and I am on a mission to keep them disinfected but still shiny and of course all natural. Thank you so much! I LOVE this recipe and it works so well. I have black quartz countertop and as much as I love the look, it was a pain to keep looking nice. The best part about this recipe is that you can spot-clean the countertop and it doesn’t show. With the old wet-rag method we’d have to wipe the whole counter top at once and then dry it in order to avoid streaks. This recipe also leaves the counter top much shinier! Thank you so much for this information! I have been looking for granite countertops cleaner in Vancouver, and this has been really helpful! I haven’t found any other recipes! Thank you! Thanks for these tips! I just moved and my new house has granite countertops in Vancouver. I’ve never had granite and I love the way it looks but I wasn’t sure if there were any chemicals that could hurt it or take the sealant off. I will definitely whip this cleaner out and give it a try. Thanks again! I love my BLACK terrazo (similar to granite) bench tops and have had them for 25 years. We just had them repolished about 4 years ago and I have no problems with them. As I am travelling in an RV at present, I am unable to trial your suggested cleaner, but I tend to jsut use a damp cloth most of the time with nothing on it at all. being polished it rarely has anthing stuck on it nor does it stain. I made this yesterday after reading your post and it works really well !! Exactly what i needed! ;D we have black granite ;p not sure if daily wiping is considered extra maintenance… and we have heavy (indian) cooking. But love this recipe…. Thank you! 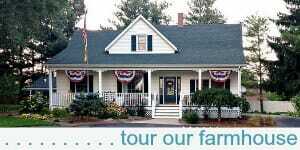 Enjoy the lovely kitchen- where happy memories and beautiful aromas are created. Thanks so much! We purchased a home this summer with a newly remodeled kitchen that sports spiffy granite counter tops that are almost exactly like yours! I’ve almost finished the granite cleaning spray that a friend gave me as part of a housewarming gift and have been looking for a homemade option that works well as I’ve read not to use vinegar either! A funny thing— chocolate chips tend to blend in with these counter tops, if you drop them! LOL!!! How much water did you add to the mix? Just enough water to filling the 16 oz bottle after adding the alcohol and dish soap. Thank you Andrea! We installed granite square tiles in our kitchen and I’ve been using the vinegar and water spray! I didn’t know I wasn’t supposed to! I’ll have to get in there right now and mix this new recipe! You may have saved our counter tops! Blessings from Bama!